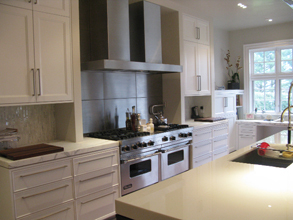 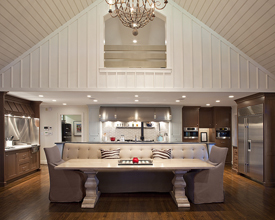 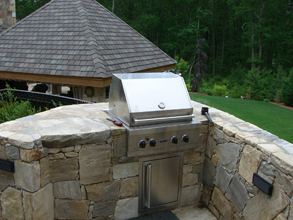 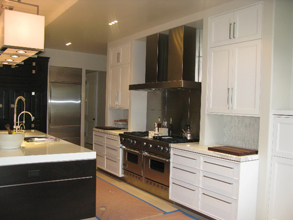 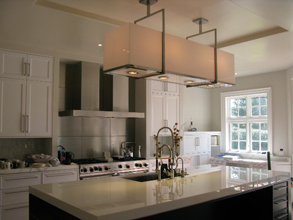 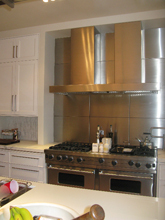 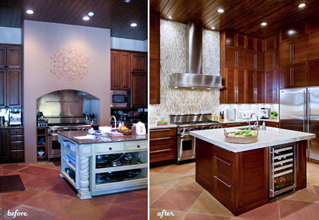 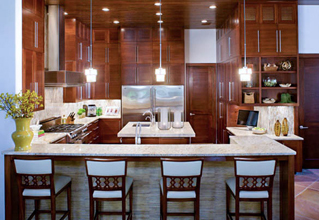 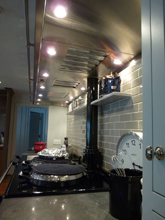 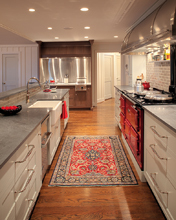 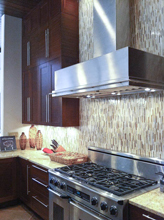 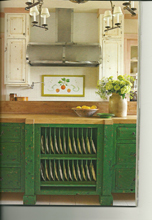 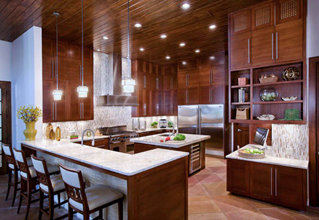 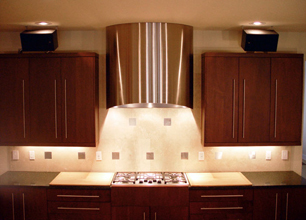 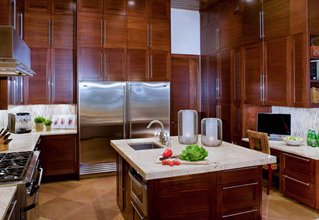 Custom Range Hoods - #2488 | Handcrafted Metal Inc. 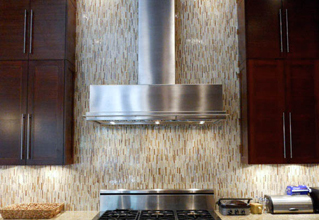 This graceful French Sweep features an extra tall stack with an angled top. 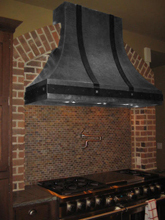 The stack also has a decorative molding at the bottom, to visually separate the hood and stack. 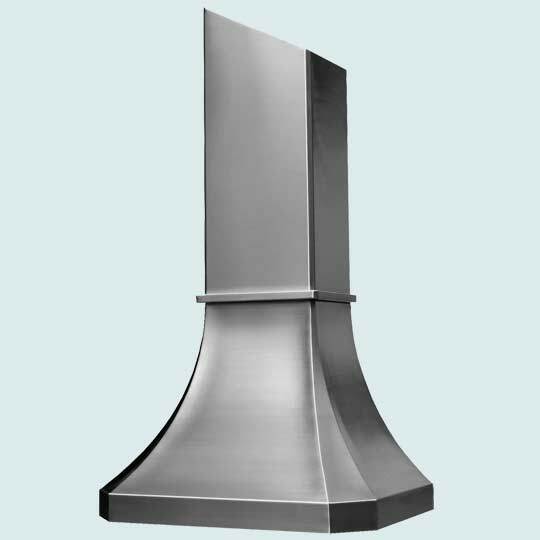 Th entire hood is made from 16 ga. stainless and has our stainless Grain finish.